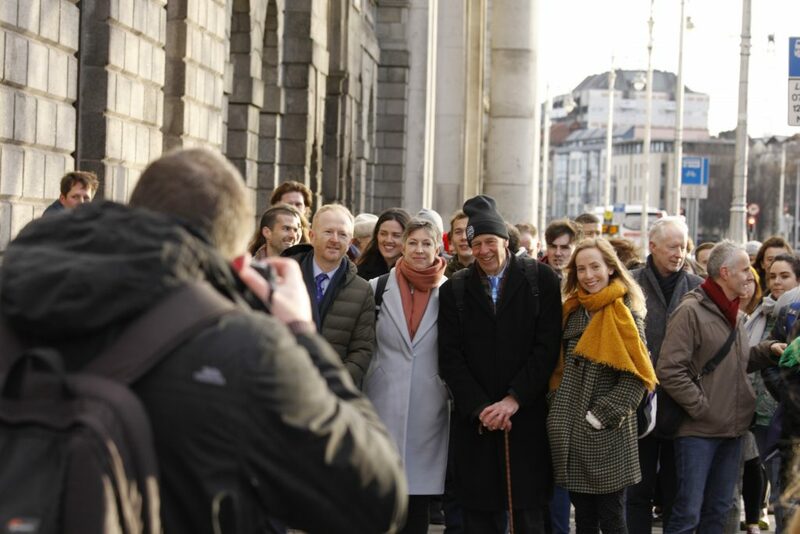 The State’s inability to halt Ireland’s rising emissions is a clear breach of the constitutional right to life, bodily integrity and a healthy environment, the High Court has heard. Speaking during the ongoing climate case where Friends of the Irish Environment is challenging the State’s National Mitigation Plan, Eoin McCullough SC said that the Plan is failing to achieve its 2050 emissions reductions targets. He pointed to the latest annual review from the Climate Change Advisory Council and the EPA’s latest report on Ireland’s emissions projections as evidence that the State is off track to hit its emissions reductions targets. Both the CCAC and EPA reports indicate that Ireland will not meet its 2020 targets and will struggle to meet its 2030 targets as emissions continue to increase. The CCAC report, Mr McCullough said, goes on to state that the State has “not provided the roadmap” to the transition to a low-carbon society in 2050. The current version of the Plan as it stands, he said, “simply does not provide measures that are calculated to achieve those reductions [and] it does not pretend to,” with emissions set to rise by 2030. In this light, he said that the Plan is in breach of constitutional rights and also rights under the European Convention on Human Rights as it is failing to protect our citizens from the potentially harmful impacts of climate change. He said that the decision to put in place a plan that allows for emissions increases in the short term and does not appear to include measures to bring about the required long-term decrease in emissions is a “particularly flagrant breach” of our constitutional and human rights by the State. Specifically, he said, the Plan is impinging on the constitutional right to life, the right to bodily integrity, and right to an environment consistent with the human dignity and well-being of citizens. He said that it is presumed that the State will take all necessary steps to protect the right to life and that it is also clear that increasing emissions levels have “profound consequences on human life”. He said that, if the court agrees with these findings, then the consequences of a failure to halt our increasing emissions are a serious threat to human life. In this light, the court must test if the state has taken all due steps through the Plan to ensure that the right to life is protected. If this is not the case, Mr McCullough argued, the court should deliver an order for the Plan to be quashed. “It would require the most extreme level of justification to stand over a National Mitigation Plan which failed to provide for substantial reductions of the sort that are agreed to be required by the science,” he said. The Plan, he said, also impacts upon the unenumerated constitutional right to an environment “that is consistent with the human dignity and well-being of citizens at large” as determined in a judgement from Mr Justice Max Barrett in a separate FiE case from November 2017. 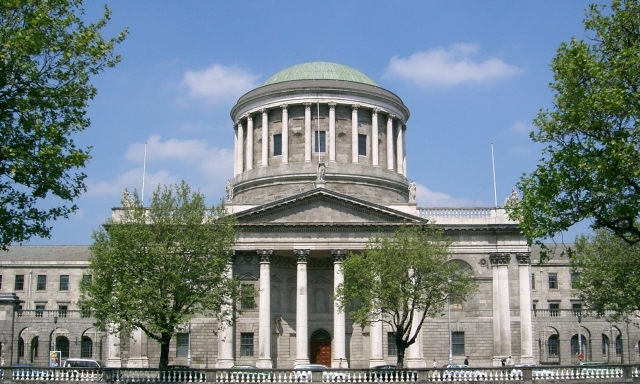 Although refusing FiE’s challenge against the granting a five-year planning extension for the construction of a third runway at Dublin Airport, Mr Justice Barrett recognised that this right is “an essential condition for the fulfilment of all human rights”. “It is an indispensable existential right that is enjoyed universally, yet which is vested personally as a right that presents and can be seen always to have presented, and to enjoy protection, under Article 40.3.1 of the Constitution. It is not so utopian a right that it can never be enforced,” the judgement continues. “Concrete duties and responsibilities will fall in time to be defined and demarcated. But to start down that path of definition and demarcation, one first has to recognise that there is a personal constitutional right to an environment that is consistent with the human dignity and well-being of citizens at large and upon which those duties and responsibilities will be constructed. This the court does,” the judgement reads. Mr McCullough also cited numerous UN resolutions, the Paris Agreement and other international agreements and resolutions that recognise the link between the enjoyment of human rights and the protection of the environment.